Being honest only bad thing one will find in college is the lack of vehicle parking. Pros - The college offers a great environment to build the overall personality of a person from academics to extracurricular. 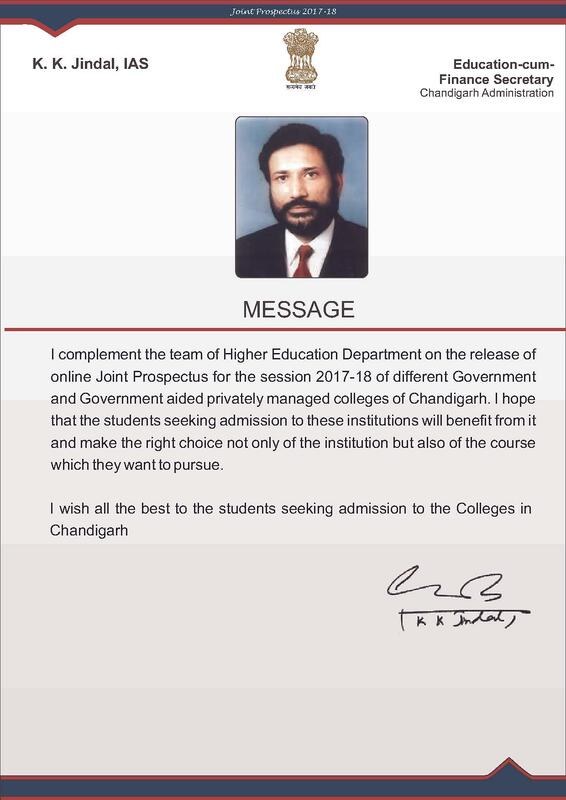 This is one of the top colleges in Chandigarh. Cons- Need to work on placement debt. Also, sanitation of the bathroom needs to be worked upon. The positive thing about this college is good alumni, a nice environment to study, play or anything, good library, good faculty members and wifi campus. The only negative thing about this college is the bad infrastructure. I think the infrastructure here can be made better. The hostel food is not so good. Best the u can get. The college is superb. I miss it. I feel like living one more life there. D.A.V. 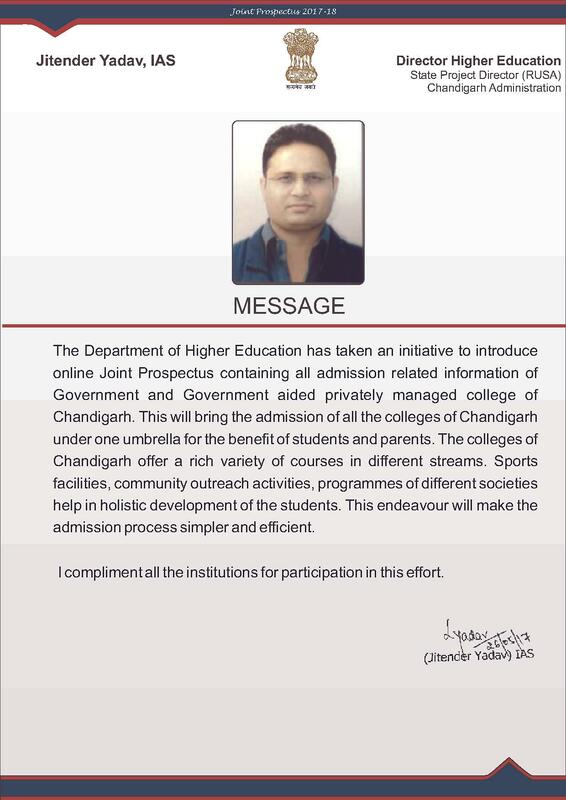 College Chandigarh was established in 1958 when the city of Chandigarh was in its infancy. 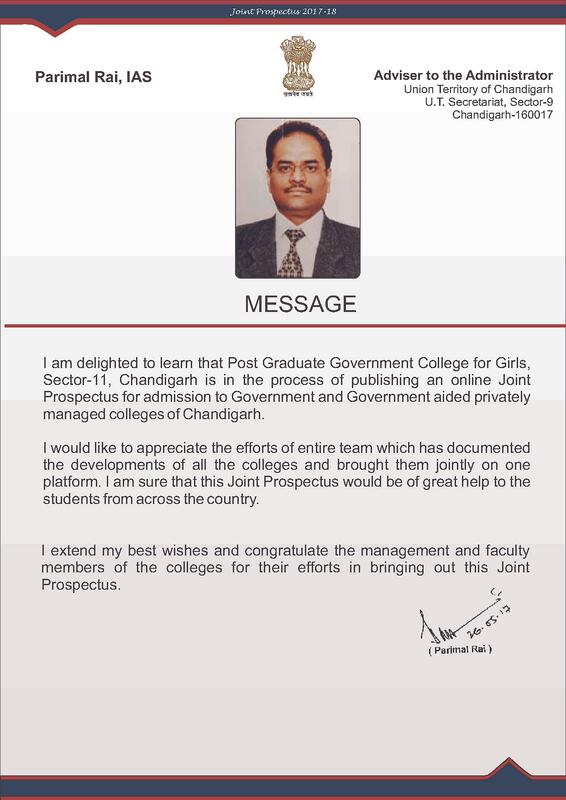 It is affiliated with Panjab University, Chandigarh. 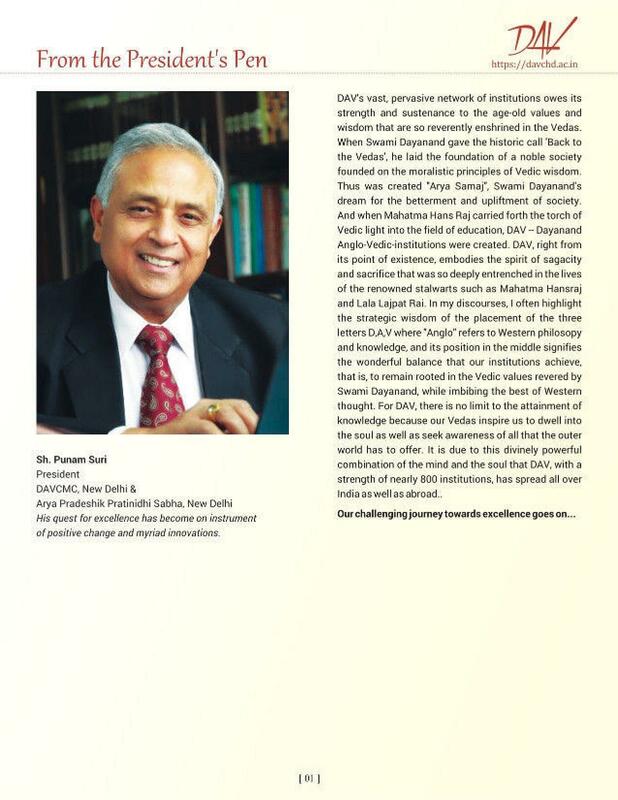 The college has grown with the city, becoming an integral part of the region's socio-cultural milieu. The college belongs to the family of the famous D.A.V. institutions, founded by Mahatma Hans Raj, and inspired by the great visionary-Swami Dayanand Saraswati. The College has been accredited by NAAC and recognized by UGC. i have 60% in BA i want to do PGDCA. I am eligibile for it? 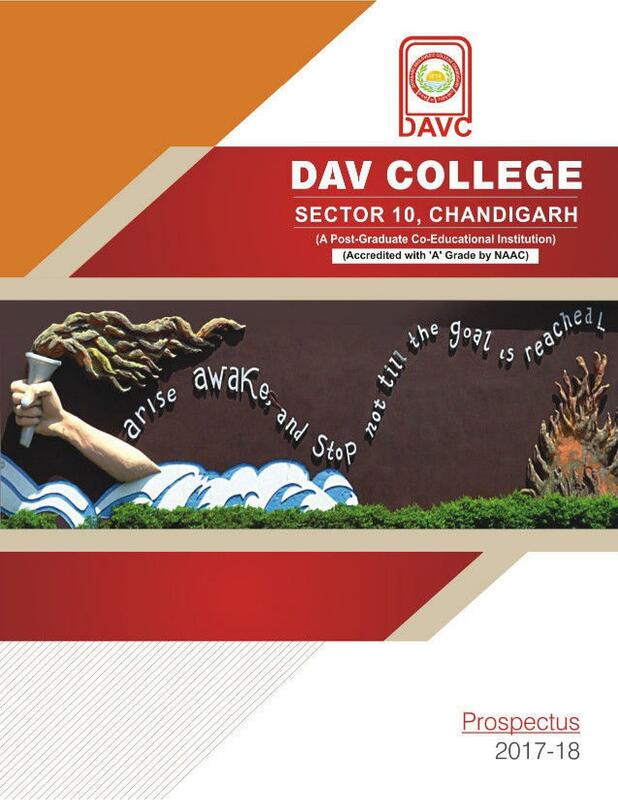 Hi Sonu, You may please check this link for getting the DAV College Admission Eligibility. Hi Roshan, The eligibility for the bca is 10 2 examination in any discipline with at least 50% marks.Having passed Matriculation examination with Mathematics as one of the subjects. Hi Vishal, No it is mandatory to appear an entrance test for getting the admission in M.Sc Course Application in this College through PUCET. Is Bsc. chemistry is awailable in this college??? Hi Jashandeep, yes This course does provide this course. Hi Ankit, Selection is based purely on the merit of the qualifying examination and also on the availability of seats. Hey! I want to take admission in bsc hons. (physics) my board score is 85.6 am I eligible? Hi Harsha, Yes, You are eligible for this College, But you need to get Admission guideline of this college i.e. 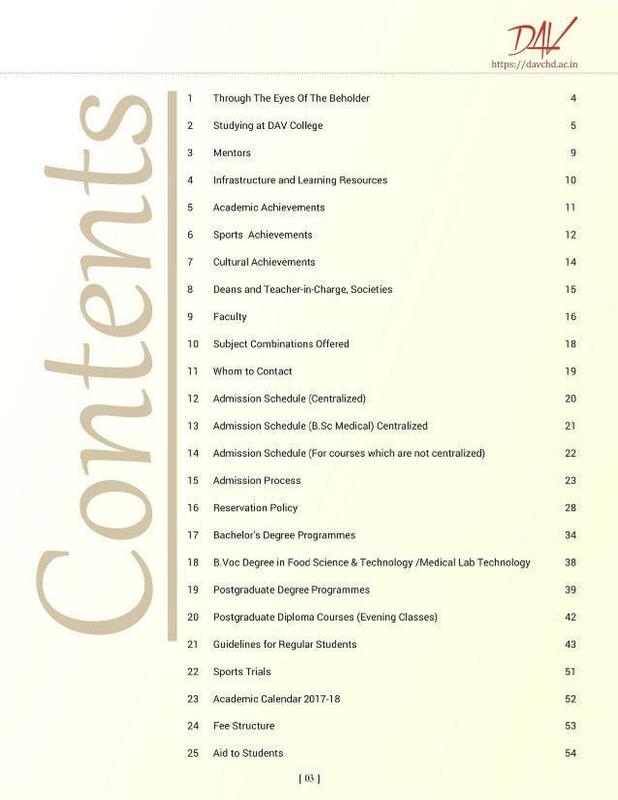 Admission Procedure of this college. Hi IShika, Admission is based on the merit list which is prepared by the college it self on the 12th scored behalf. Good Luck. Hi Mohit, Selection is based purely on the merit of the qualifying examination and also on the availability of seats but the admissions are closed for this session. 10 2 examination from a recognized Board/University with at least 50% marks. Any other examination with 50% marks recognized as equivalent to 1 above. 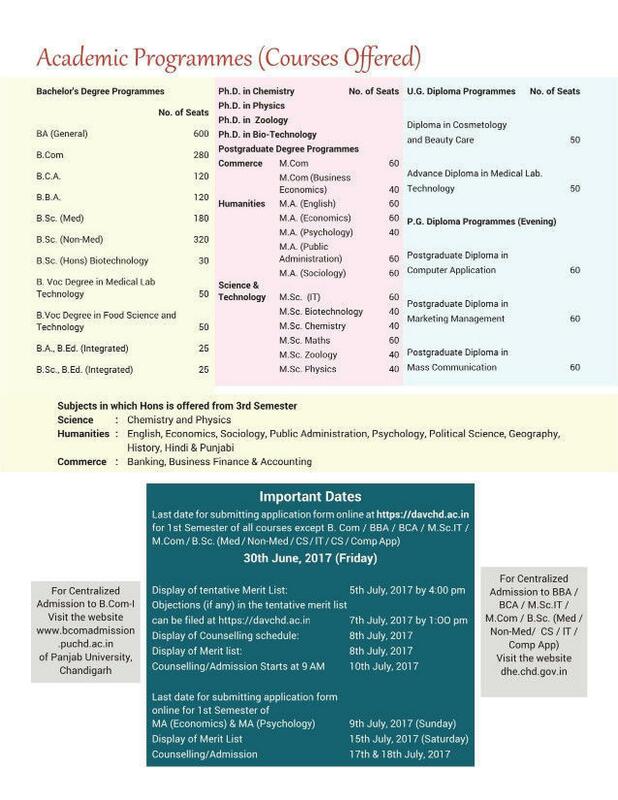 Important dates for BCA 2018 Admission in DAV College? I want to take admission in your college to do BCA. So can you tell me that is there any entrance exam for this? "Best the u can get." 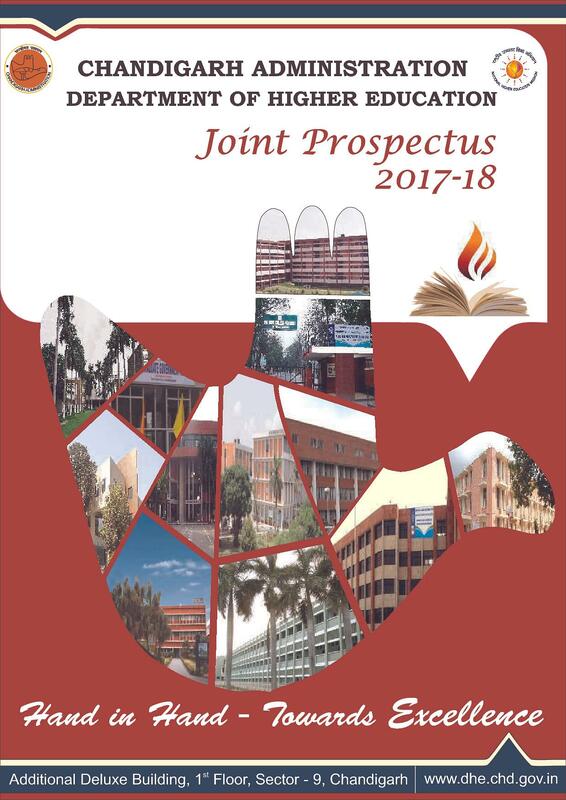 Due to the good study climate, better focus towards both study and sports, Has all the 3 branches of NCC, renowned name, highly qualified and experienced teachers, well-built rooms and furniture, labs with the latest equipment, updated computers for computer students. The city is beautiful in which the college is situated that is Chandigarh and there are so many successful celebs and crickets who passed out from this college. This college has a maximum potential of talent and extraordinary skills. So many successful organizations have developed from it.